Making a messy gingerbread house, decorating our tiny disco tree, eating clementines by the dozen, doing intense Radio Times highlighting, I LOVE CHRISTMAS. 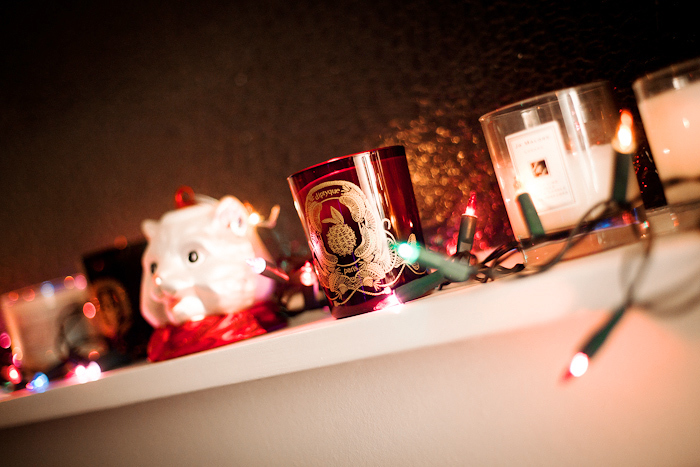 Filed under christmas, home & decor. You can follow any responses to this entry through the RSS 2.0 feed. 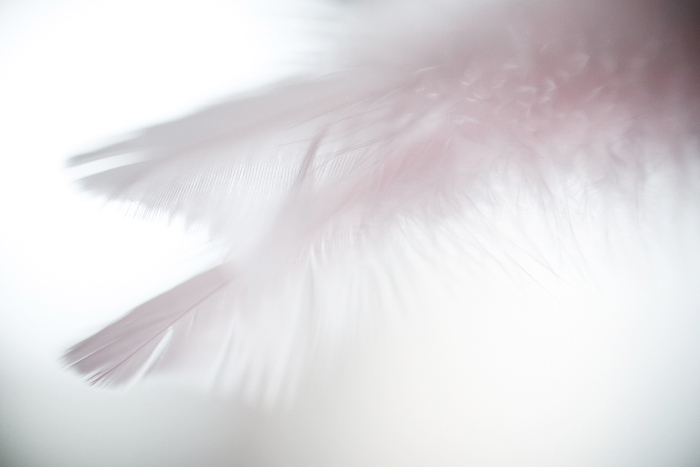 I love how clean and bright your photos are. I love the macro. And your gingerbread house is gorgeous not messy at all. Wow, love the gingerbread house, love the ornaments, love the tree! I see a gorgeous, fun Christmas! Happy holidays! Oh my gosh, everything looks so christmasy and beautiful! Love the gingerbread house and the feather bird! 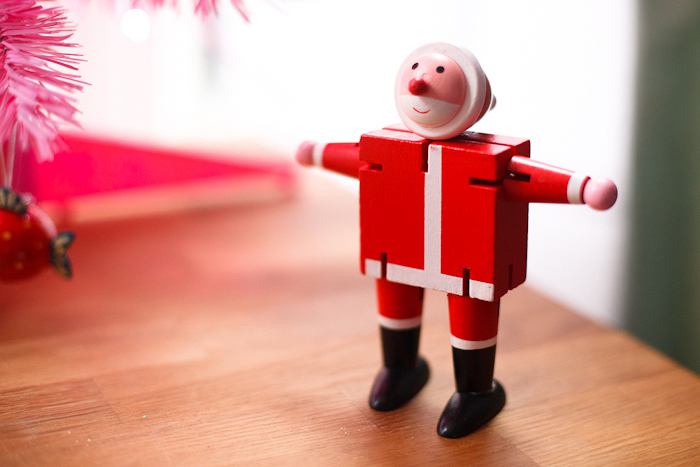 Wishing you a very happy christmas! 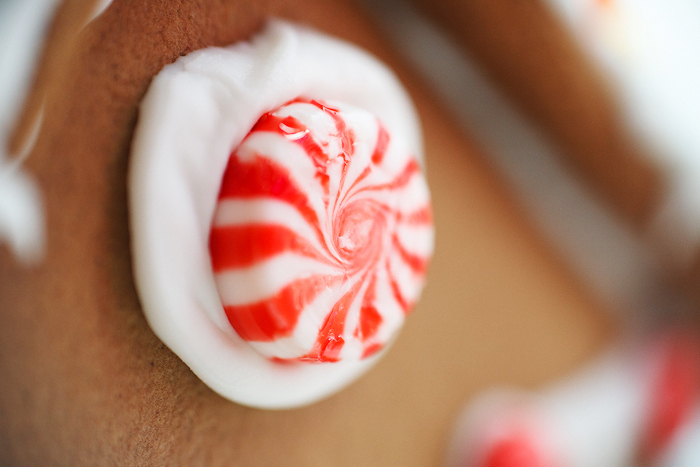 I really want to make a gingerbread house but hate gingerbread. I wonder if I should make it then just take it home to my mum à la nursery school. 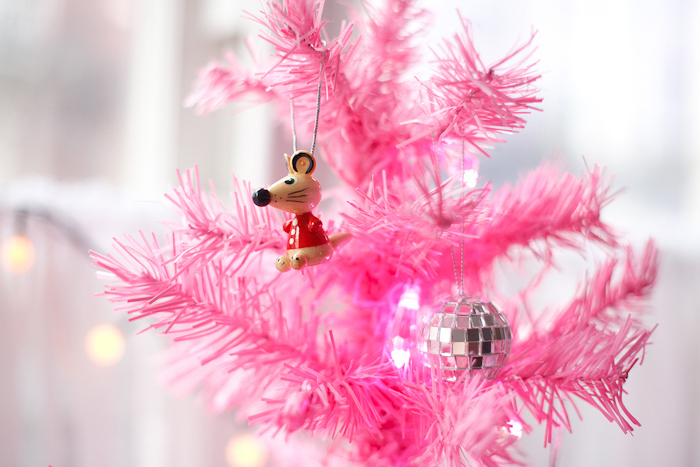 Beautiful :) I always love your Christmas blog posts! 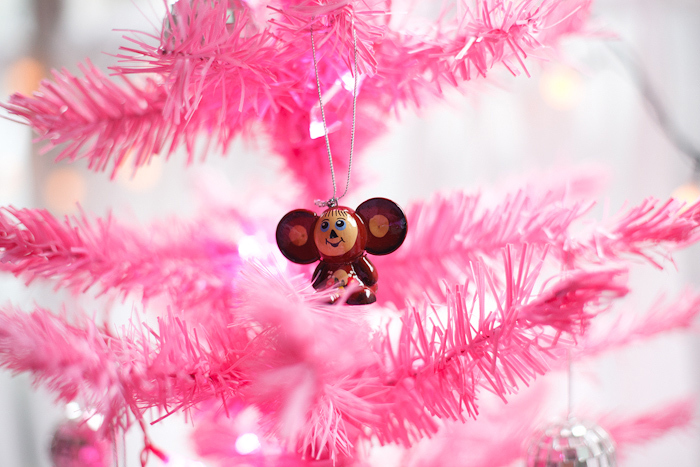 I absolutely adore that you have a BRIGHT PINK Christmas tree. The fact that it has snowed already is probably a nice addition to the spirit as well, isn’t it? 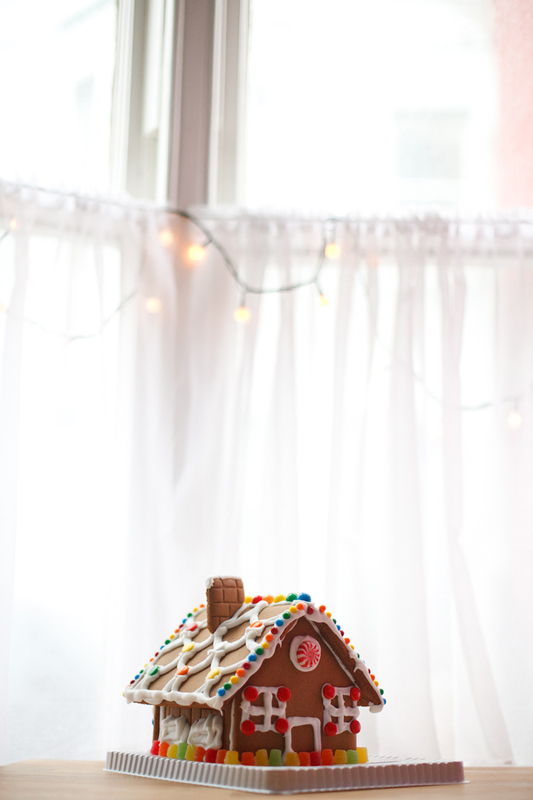 These photos all made me so happy, especially the gingerbread house! 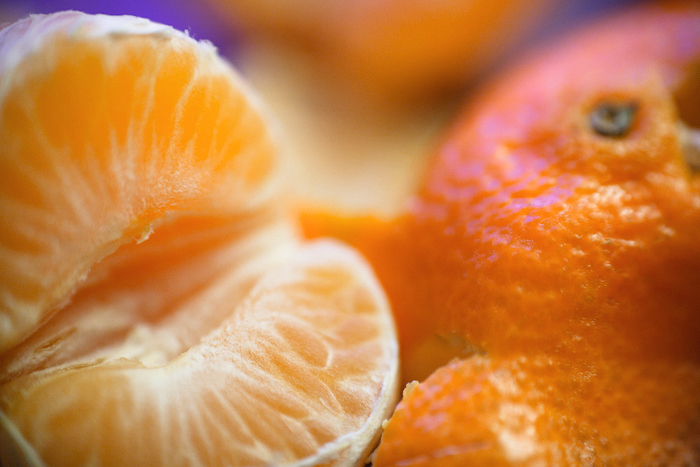 i wish you tons of sweets and even more delicious clementines! 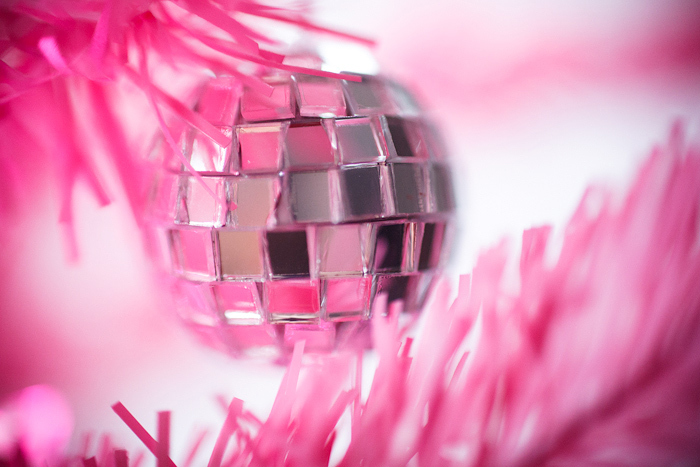 Where does one even find a pink Christmas tree? We were really lazy this year and bought a $20 light up outdoor tree. It’s basically a plastic spiral-y cone of lights. this cake look so nice !! so yummy hansel and gretel house !! such festive and vibrant images! happy christmas to you! 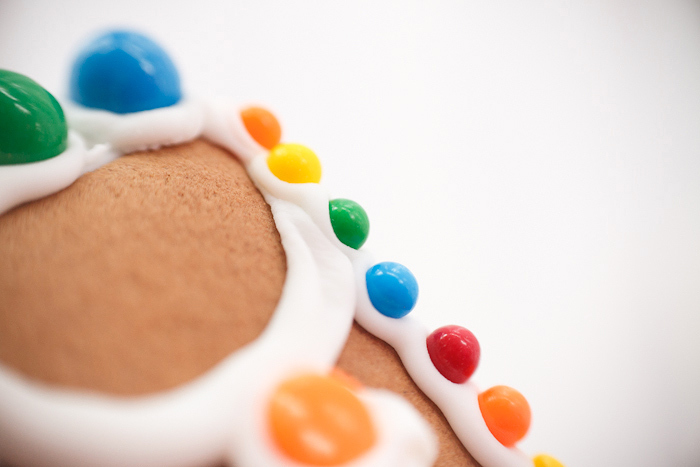 Very cute photos and your gingerbread house is exquisite! How did you make it so perfectly :) not messy at all! 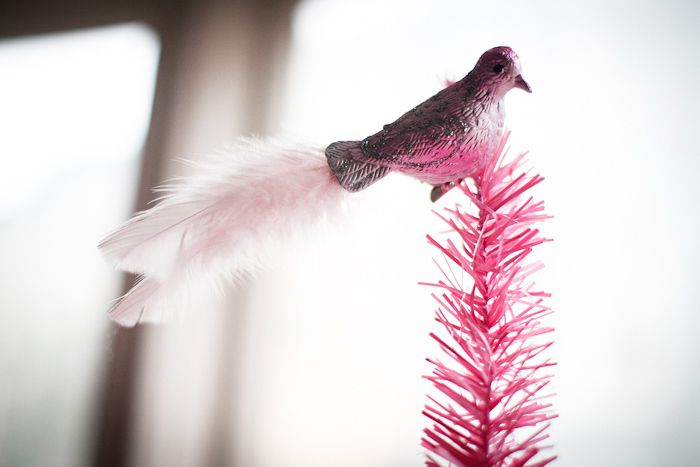 We have the same pink tree – but I put it up at Easter! Merry Christmas! That gingerbread house is so great! I just received a print of your Royal Gala painting that I had ordered for a Christmas gift; a bit late, but I don’t even mind because everything looks so superb! I do wish I had put in a note asking for a note for my friend as she’s such a fan, but oh well. Just wanted to say that the packaging and everything is wonderful, I love your work. Happy New Year, Kristina! Can’t wait to see what you did for NYE! Wonderful picures! I did the same gingerbread house with my 3 yr old. Mine doesn’t look half as neat as yours! oh dear, what is that apostrophe doing there! so pretty pictures and cake house! Your blog is really fun, best of luck with it!